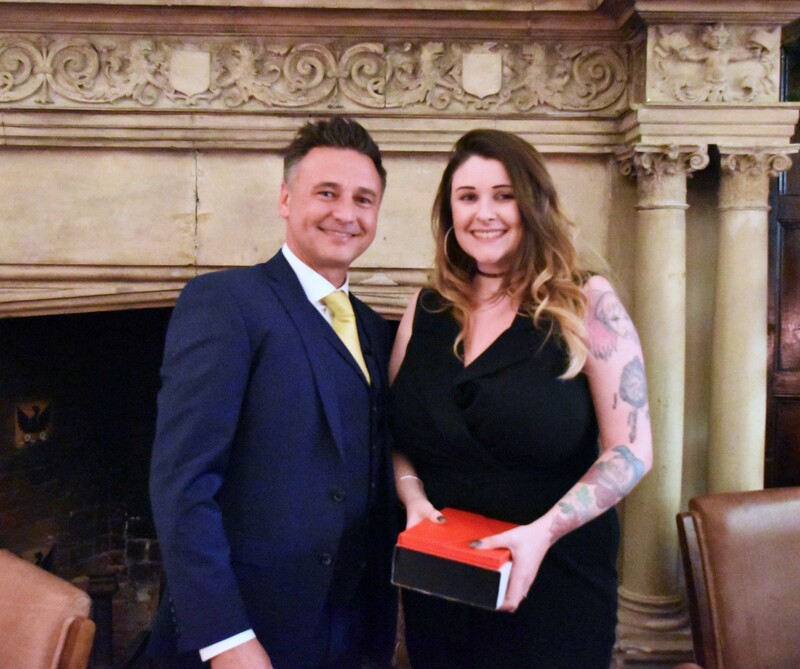 Congratulations to Holly O’Keeffe, voted our Employee of the Year for 2018. Comments received as part of the voting process praised Holly for her talent, competency and proactive approach. Holly is professional, reliable and resilient under pressure, even managing to maintain her sense of humour where others would crack. Well done Holly – your hard work is much appreciated. Why do we have an Employee of the Year awards? At Smartcomm, we have a superb team and our business success is testament to their dedication and hard work. We felt extra recognition was needed, for employees who have demonstrated exceptional dedication, professionalism and focus. The colleagues who have gone above and beyond their remit. This has been either consistently throughout the year, or over an extended period of time. As you can probably tell from the photo, the impressive backdrop and lovely evening atire in the photo are because Holly was presented the award at the Smartcomm Christmas Party. This award is presented at the Christmas Party as part of our end of year celebration. This allows colleagues to congratulate and applaud the winner and learn about their achievements. Normally Steve, our MD, reads out a summary of the reasons the nominations were given, however if he is unavailable then another Director will present the award. This is great for team spirit and especially good for those team members who spend much of their time on site, away from the office. If you have experienced exceptional service from one of our team, we would really appreciate it if you would please let us know by sending an email to info@smartcomm.co.uk.